Choosing a hair clipper is one thing for home use and completely another for professional application. Our today’s material is written with professional barbers in mind. In particular, we want to focus on professional fade cutting. We know how tough choosing a professional hair clipper can be, so we’ve prepared an in-depth guide to help you with that. In addition, we’ve picked 4 models to showcase today. We think that they are the best professional hair clippers for fades out there, so you should have something to choose from. If you wish to get a professional hair clipper with all the essentials, then Wahl Cordless Magic Clip may be the right pick for you. It comes with plenty of accessories, so doing fade haircuts should be really easy with it. But let’s start with the most remarkable feature of this hair clipper. The thing is that it can be operated both corded and cordless. All other hair clippers we’ll feature are corded. The cordless design of the Magic Clip has both good and bad sides. The main advantage of the cordless design is that you are not restricted in your movements. You may position yourself in any way convenient for you and your client. The disadvantage of Magic Clip’s cordless design is that it is less powerful when running on a battery.When cutting thicker hair or whatnot, you will most likely need to plug the hair clipper to a power outlet. Speaking of power outlets, Wahl includes a 100-240V recharging transformer with this hair clipper, so you should be able to use it anywhere in the world. In the end, while the cordless design is kind of a double-edged sword, it certainly is nice that you have a choice with Magic Clip. Now, let’s move onto the thing we mentioned in the beginning – accessories. Wahl includes 8 combs with their Cordless Magic Clip, which is a great thing for doing fade haircuts. To be fair, these combs are pretty flimsy, but they should be able to serve you well at the beginning. This hair clipper also has adjustable blade length. Combined with the included combs, this should allow you to perform a pretty wide variety of cuts. A thing that should also be noted in Cordless Magic Clip is that it weighs just 10 ounces.If you’ll be cutting hair all day long, you will certainly appreciate the lightness of this hair clipper. With that being said, there are two downsides that should be mentioned in the Cordless Magic Clip. First off, it seems that its stock blade tends to rust pretty quickly, so you may want to keep a close eye on it and make sure that it is oiled. 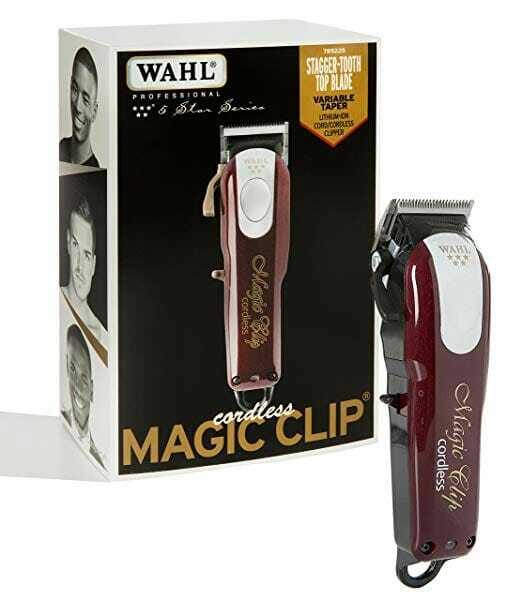 Thankfully, Wahl includes oil with this clipper, so you won’t have to look for it yourself. The second downside is that the motor of the Magic Clip is pretty slow. 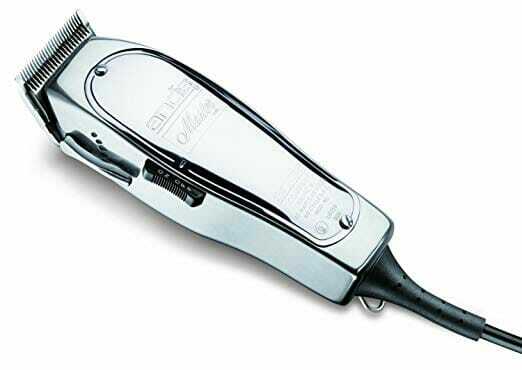 It delivers just 5.500 RPM, which places it among the weakest hair clippers on the list.This is the thing that puts a certain limit on this clipper and makes it more suitable for lighter haircuts. Comes with a 100-240V recharging transformer. The stock blade rusts easily. The included combs are pretty flimsy. Andis Master is a pretty eye-catching hair clipper, right? It looks so good that you may be tempted to get it right now! Not so fast though: you should learn what it has to offer first. The first notable thing in this hair clipper is its 15W 14.000 SPM magnetic motor. It isn’t the most powerful motor on the reviews, but it has enough oomph in it to cut through various kinds of hair.The quicker speed will most likely make this hair clipper pretty loud though. Unlike Wahl’s Magic Clip, Andis Master doesn’t come with any combs, unfortunately. However, you can still do fade cuts with it out of the box. The blade in the Master hair clipper can be adjusted from 000 to 1, which means that this clipper is more suitable for fading shorter hair. Now that we are done with the performance of the Master hair clipper, let’s move to its looks. This hair clipper certainly looks spectacular. The glossy aluminum housing imparts a very sleek look to it.If you are willing to have an eye-catching hair clipper, then Andis Master may be the best choice for you on our list. The aluminum housing not only looks good but is also durable. Most hair clippers at the price point are made from plastic, so the Master hair clipper should have a big advantage over them in terms of durability. Although the housing is made from aluminum, it doesn’t make this hair clipper heavy. It weighs just 1.25 pounds. This is a bit heavier than Wahl Magic Clip, but it should be light enough to allow cutting all day long for most barbers. But, as great as Andis Master looked up until now, it has a couple of downsides that should be noted. We already said that it runs a bit loud and comes with no combs, but there are two other things to be mentioned. First, this thing seems to get hot pretty quickly, which is due to its fast motor. If you are usually cutting hair all day long, the Master hair clipper may not be the best pick for you. Besides, the smooth housing may make gripping this hair clipper a bit difficult.Sure, it looks good, but it isn’t the best in terms of practicality. Blade adjustment from 000 to 1 sizes. The smooth surface may be difficult to grip. In terms of versatility, Oster Fast Feed clipper is between Andis Master and Wahl Magic Clip. If you didn’t need 8 combs in the Magic Clip and felt that that the Master clipper was too limited, then this one may be the better choice for you. Like in the Andis Master hair clipper, this hair clipper allows you to adjust the blade size from 000 to 1. In addition, Oster includes 4 combs with this hair clipper –blending, 1/4-, 3/8-, and 1/2-inch–so you get some good versatility for doing fade haircuts. What may be more important for you, however, is the quietness of the motor in the Fast Feed hair clipper.If you really care about the noise level in your hair clipper, then you will most likely appreciate this model’s quietness.The low noise level in this hair clipper is due to the low-power 9W motor. The key phrase here is “low-power.” Because with a lower noise level, you are also getting a weaker pivot motor. It is noticeably weaker than the 15W motor of the Andis Master clipper. Its motor has about the same power as the Wahl Magic Clip we reviewed in the very beginning. Thereby, busy days will most likely be too much for this hair clipper.Like Wahl’s clipper, it is more suitable for lighter haircuts. In terms of comfort, this hair clipper is pretty good. The 8 feet long power cord should provide you with more than enough freedom of movement, first of all. Secondly, weighing 1.16 pounds, this hair clipper is pretty light. And yeah, it also has a textured housing to make gripping easier. In the end, if you are looking for a versatile hair clipper for doing lighter haircuts, then Oster Fast Feed may be the best choice for you. 000 to 1 blade size adjustment. Long 8 feet power cord. And the last model on our reviews of best professional hair clippers for fades is Oster Classic 76. This is a fine option if you are looking for a heavy-duty hair clipper for very busy days. The first advantage of the Classic 76 is its powerful 45W motor, which makes this model the most powerful among the hair clippers we reviewed. With such a motor, you should be able to cut any hair all day long. In addition to being powerful, the motor of the Classic 76 hair clipper has been designed to withstand heavy use. Add to this the rugged and break-resistant housing, and you are getting a hair clipper that could work seamlessly for a long time. Of course, if it is maintained properly. 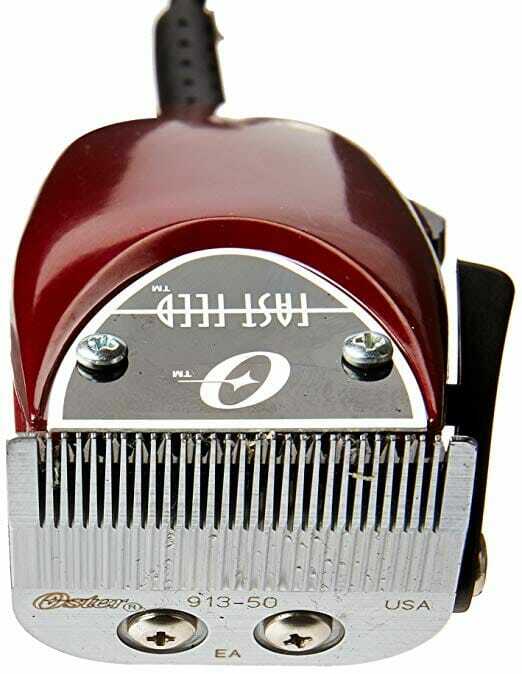 There are other color options for this hair clipper, but they take away from the classic feel of this clipper.If your barbershop is designed in a vintage style, then the brown Classic 76 can certainly be a fine addition to its environment. Besides, this hair clipper may be great if you just like retro things. Just like it was in Oster Fast Feed, Classic 76 is a pretty convenient model. It has a longer 9 feet power cord, as well as a grooved housing that is very easy to hold and grip onto. However, there are things that aren’t that good in Classic 76. The first downside is that this hair clipper is pretty heavy. It weighs 1.5 pounds, so you may find cutting hair with it all day long exhausting.And if you get fatigued early, then you won’t be able to make use of its durability. The second downside is that Classic 76 comes with only 000 and 1 blades. Out of the box, there are just two sizes that you could use. In other hair clippers, there was a certain range length that you could choose from.You may thereby need to buy additional blades for this thing. And lastly, it should be noted that this thing runs a bit loud. But that isn’t very surprising given that this hair clipper has a powerful motor. Includes 000 and 1 blades. Long 9 feet power cord. Minimal choice of blades out of the box. One of the main things to consider when looking for a hair clipper is how it is powered. Some are cordless and run on a battery, while corded clippers require electricity from a power outlet.Which one to choose depends on your needs and requirements. Cordless hair clippers are superior when it comes to convenience. There are no power cords to get in your way when you are trying to cut at varying angles. Besides, you will have no dependence on a power outlet and will be able to use the clipper anywhere. On the other hand, cordless hair clippers tend to have less power.They run on a battery, so manufacturers struggle to keep their power on a reasonable level so that the battery has good runtime. This isn’t a concern for corded hair clippers: they don’t have batteries, so there is no need to try and push their runtime further at the expense of power. And besides, you’ll need to make sure that your cordless hair clipper has battery charge in it. And because charging takes a considerable amount of time – several hours in some cases – cordless hair clippers may be inconvenient for professionals. In corded hair clippers, you won’t have to deal with the downsides of cordless clippers. They have more power and work as long they are plugged into an outlet. On the other hand,a corded hair clipper won’t provide you with as much freedom of movement. Unless you know that a cordless hair clipper is going to be good for your tasks, we would recommend you to go for a corded model. They are the best when it comes to hair clipping all day long. There are three kinds of motors in hair clippers: rotary, magnetic, and pivot. They differ from each other in their features and performance, so let’s see what they are good for. Most experts consider rotary motors the best when it comes to performance. Rotary motors tend to be the slowest, but they are more powerful, which allows them to cut thick or wet hair easily. And besides, rotary motors tend to be less noisy than other types. Hair clippers with rotary motors have the highest price, but they still are a favorite among professional barbers and stylists. Hair clippers with a magnetic motor are highly efficient in the long run. Magnetic motors deliver the highest speeds while consuming less power. Thereby, they are the best when it comes to doing quick and light cuts. A hair clipper with a magnetic motor probably won’t be able to deal with thick or curly hair well. In addition, keep in mind that magnetic motors tend to produce the most noise. And yeah, their high speed often causes them to heat up quicker. Pivot motors don’t run as fast as magnetic motors, so they are less noisy. But, in spite of running at lower speeds, pivot motors tend to have more power than hair clippers with magnetic motors. The reduced speed also means that there will be less friction on the blades. As a result, their wear and heating are reduced. Pivot motors are good for barbers who don’t wish to deal with noisy and warm magnetic motors and for whom pivot motors are overkill. You’ll need to pay attention to what kind of blades the desired hair clipper comes with. Namely, what you are looking for is the size of the blades. When doing fade haircuts, you’d want to have a wider variety of sizes to make fading easier. Some hair clippers come with a single blade which can be adjusted to cut hair to different lengths. Except for Oster Classic 76, all the hair clippers reviewed have such adjustable blades. Adjustable blades allow you to adjust the length settings on the go without needing to swap out any blades. When it comes to convenience, hair clippers with adjustable blades are clearly superior when it comes to fade haircuts. On the other hand, such hair clippers tend to be very limited when it comes to blade sizes.You aren’t getting much variety of sizes out of the box. The typical adjustment range is from 000 to 1, which isn’t that much. In addition, manufacturers usually don’t produce blades for hair clippers with adjustable blades. In most cases, you won’t find blades of other sizes for such a hair clipper. You will be pretty much stuck with what you get out of the box. With models like Oster Classic 76, things go the other way around. The blades can’t be adjusted via an onboard handle, which makes regulating the length of the cut much more inconvenient. You’ll have to swap out the blades to change the length of the cut. On the other hand, Oster has plenty of blades available for Oster Classic 76. You shouldn’t have any problems with finding the right blade size for it. You’ll need to spend additional money on them, but you will have much more options to go for in the future. Which kind of blade adjustment is better for you will depend on your requirements. 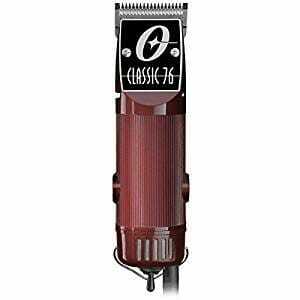 If you need plenty of blade sizes, then you’d need to go for a hair clipper like Classic 76. Otherwise, any of the other 3 hair clippers should suffice. But before you make your final decision, make sure that the manufacturer of the desired hair clipper has all the blade options you need. You don’t want to get the wrong product, right? What kind of accessories a hair clipper comes with is very important as well.It is essential that the hair clipper comes with all the necessary items to allow you to get started with doing fade haircuts. Technically, the only thing you need to have to get started is lubricating oil. Lubricated, the blades will move smoothly and will stay cool longer. If you don’t lubricate the blade, your hair clipper won’t work well and probably also won’t live very long. All of the reviewed hair clippers came with oil, so you will be able to get started with them immediately. You would also want to get a hair clipper that comes with combs. They’ll make your life easier and will allow you to do a wider variety of fade cuts. As a professional, you are looking for a hair clipper that will perform the required tasks – in this case, doing fade haircuts – flawlessly. Thereby, it is crucial that you know what you need a hair clipper for. Do you need a hair clipper as a primary workhorse for long and busy days? Or maybe you are looking for a spare hair clipper for lighter cutting sessions? Plenty of variables may be in play, so you need to consider them when choosing a hair clipper. You definitely don’t want to get an under performing hair clipper for fade cutting.For example, if you typically cut hair all day long, then something like Oster Classic 76 would probably work much better. In the end, imagine what kind of cutting you will be doing and choose a proper hair clipper. Can these hair clippers be used for trimming? They probably can be with smaller blades. But you should use trimmers instead: they are more compact, so it is easier to do details with them. Can I use a hair clipper for clean head shaving? You can get pretty close with proper blades, but they won’t be able to do a clean shave. Can I use a hair clipper to do beard-cutting? You definitely can. A hair clipper can allow you to quickly shorten a beard. But when doing details, you should opt for a trimmer. So what, did you find the right hair clipper for fades? If so, then you should probably go and get it! Our personal favorite is Oster Classic 76 for its power and durability. But if you like any other hair clipper, feel free to go for it. It is your needs that play a primary role when choosing the best hair clipper for fades.